Has over 25 years of experience in residential and commercial real estate. Specializing in luxury homes and multifaceted properties though-out Italy. 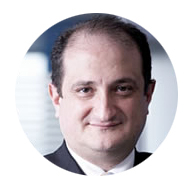 His vast knowledge of the inner workings of the Italian real estate market brings a great prospective to our team of professionals. He has managed projects for the construction of wind and photovoltaic parks. 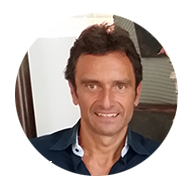 Mr. Santoro, graduated in 1989 from the University of Naples and has been a certified Architect since 1990. Having since worked on private and government projects through-out Italy. He also started “The Arch & Geo Group” which has enabled a quality system that complies with UNI EN ISO 9001:2000 model for quality assurance in design. Graduated in 1981 from the University of Naples with high honors and practicing since 1982. Member of the Architects of the Province of Salerno since 1982. Winner of several national architectural competitions. He works as a freelancer at the Studio Tecnico Archh. Mazzotta-Salsano S.L.A. Mr. Salsano has extensive experience in all phases of renovation and design. Specializing in the restoration and renovation of antique buildings which date from the 1500th century. Mr. Salsano is also an accomplished interior designer, blending the old world with modern necessities. Graduated in 1987 from the University “La Sapienza” University of Rome with high honors. Mr. Santelli has been practicing Law since 1992, is an expert in civil, administrative and real estate law. Was a professor at the Technical Institute of Cosenza and San Marco Argentano. In 2008 he became consultant of the Association Italy Rostra - National Association for the protection of the artistic and Natural Heritage of Italy. Mr. Santelli works to give legal advice at some major law firms in the provinces of Rome, Cosenza, and Salerno. 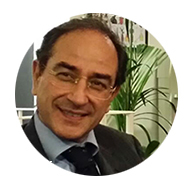 Graduated in 1988 from: Istituto Tecnico Commerciale Mr. Santoriello was one of the first Real Estate professionals to start the group, Realtor Real Estate in Italy from 1991 to 2001. He was part of the first professionals to develop the modern real estate method in Italy. 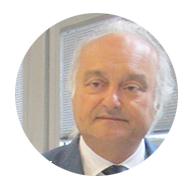 He is an expert in procurement of real estate, having worked extensively throughout Italy. 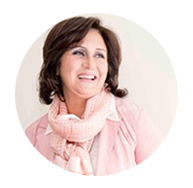 Ms Avagliano graduated from University of Naples. She also specializes as an expert on policies of EU funding at the Italian society for international organizations of Rome. She attended Boston University for advanced language in English. Worked as interpreter with the Einaudi agency from 1996 to 2003. Main responsibilities are coordination and project management with emphasis in design. Alessandro Malinconico graduated from the college of the Benedictine 2004. 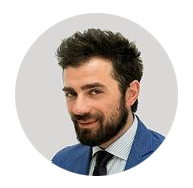 He has been working as a real estate consultant for the last 6 years, working with a cooperative of realtors whom have offices thru-out Italy. 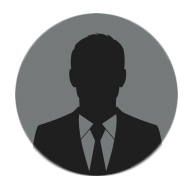 Mr. Malinconico is a young realtor who works tirelessly with ONLY the clients best interest in mind. 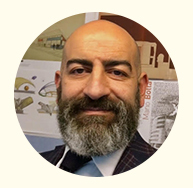 Fabrizio Siani is the third generation of his family devoted to antiques and restoration of antique furniture. The attention to research and attention to detail in the restoration make every single piece of lasting value. His vast knowledge and experience is second to none. When purchasing though Mr. Siani you will be doing so with confidence.